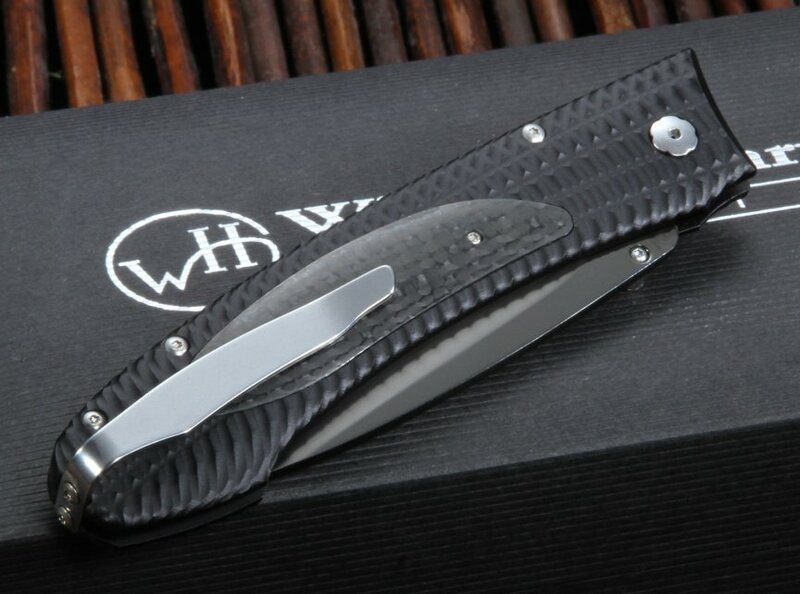 Recently designed in cooperation with Matt Connable, the William Henry EDC E10-3 Carbon Fiber Inlay Folding Knife fits in a pocket for comfortable carrying and opens easily with just one hand. With a 7.75 inch total length and a weight of only 1.6 ounces, this knife is lightweight, yet durable. William Henry is known for well-made luxury items, and this knife delivers. But the EDC E10-3 isn't just about elegant design. The high-quality 3.25 inch blade is crafted from stainless M390 steel, which creates an edge that will cut quickly through tough materials to get the job done. 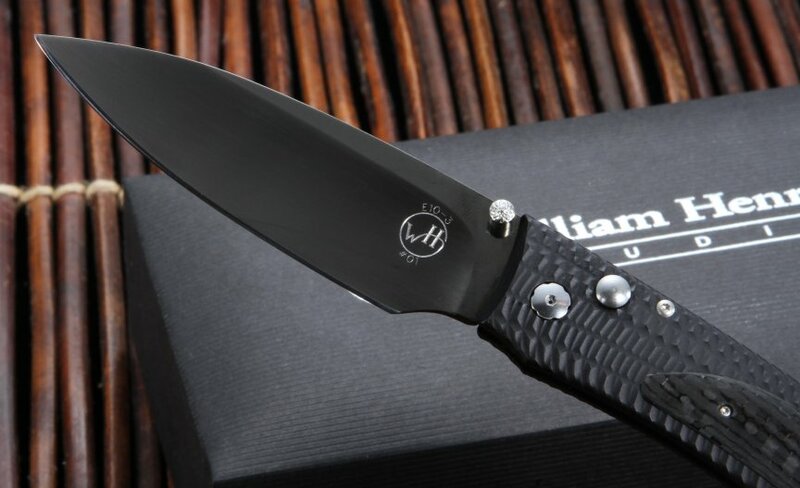 In addition, the blade is coated with black tungsten carbide. This attractive, functional coating offers long-lasting protection against the elements to prevent corrosion. The handle is fashioned of black carbon fiber and sturdy aircraft-grade aluminum that has been hard anodized to give it a durable finish that is resistant to staining and corrosion. It also includes a reversible mounted pocket clip, allowing for clean carrying while automatically placing the knife tip up for safety. 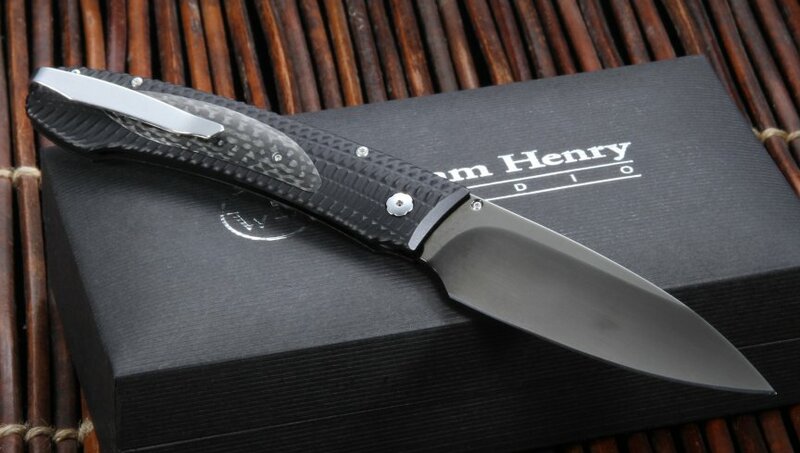 At KnifeArt, we pride ourselves on offering knives that include the best in both design and functionality from top-notch knife makers, and our authorized William Henry folding knife selection is among the best of the best. 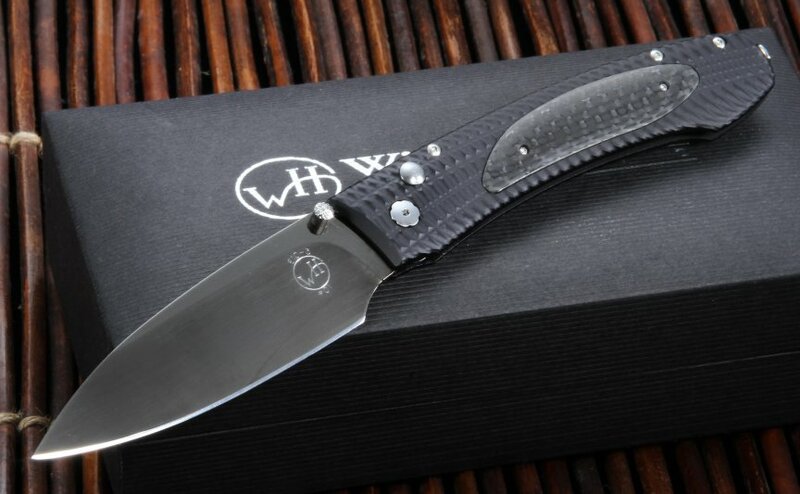 Each knife is uniquely numbered and includes a wood presentation box and certificate of authenticity from William Henry. We guarantee 100% satisfaction with every purchase, or your money back. Plus, get free US shipping on this knife with a purchase of $150 or more. First.....my initial impression of the E10-3 from William Henry. I bought this as an introduction to the brand to determine if i wanted to invest in one of the more collectible WH. My first impression is this is a quality knife made with top notch materials. There is no movement in the knife blade and this knife is LIGHT. Second.....A word about Knife Art. I sent an email after ordering to make a comment about the process and received a reply within minutes. The knife shipped the same afternoon and I received it in two days. Impressive. This was my first order of a WH and from KA, but I do not believe it will be my last of either. This knife is so easy to carry...very light and very well made...opens smooth and effortlessly...I own a lot of knives but this is the one I carry everyday.